Today The Pokémon Company announced Mythical Pokémon Volcanion, the first-ever dual Fire and Water-type. You may have heard of him already, as he leaked over two years ago. Fans first heard of Volcanion back in 2013, when hackers discovered the unnatural combination of opposing forces by thumbing through the code for Pokémon X and Y. Between that and the stuff they found in 2014’s Pokémon Alpha Sapphire and Omega Ruby, we pretty much know everything there is to know about Volcanion. We’re just missing the official artwork, seen above, the trailer, seen below. 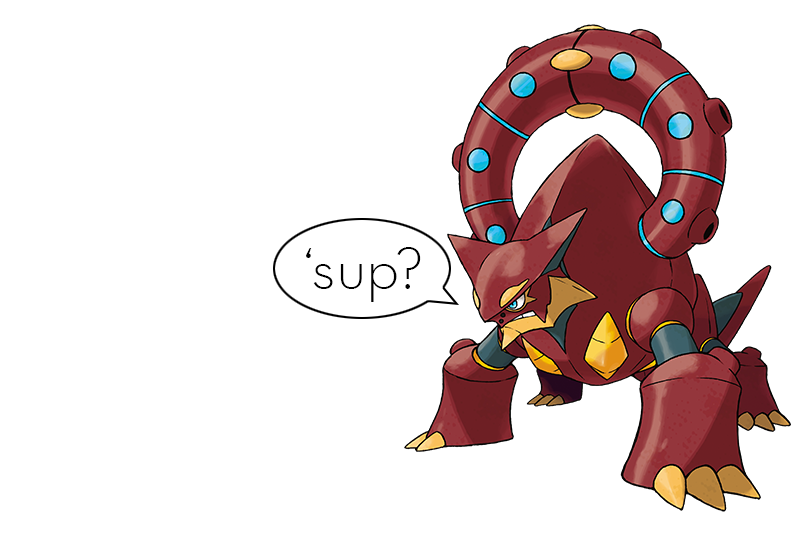 Unlike any other Pokémon, Volcanion is both Fire- and Water- type. This Pokémon uses fire and water to create steam within its body, expelling explosive shock waves and scalding steam from the arms on its back. Volcanion’s power is said to be so great it can destroy an entire mountain, gouging out the earth and changing the shape of the land! The only thing we don’t know now is how Volcanion will be distributed—The Pokémon Company urges fans to stay tuned to official channels for that info. I’m actually really impressed that they waited so long to reveal him. With code in place in games dating back two years, whatever event they plan around Volcanion has been brewing for ages. Nice job, even if nosy folks ruined the grand reveal.